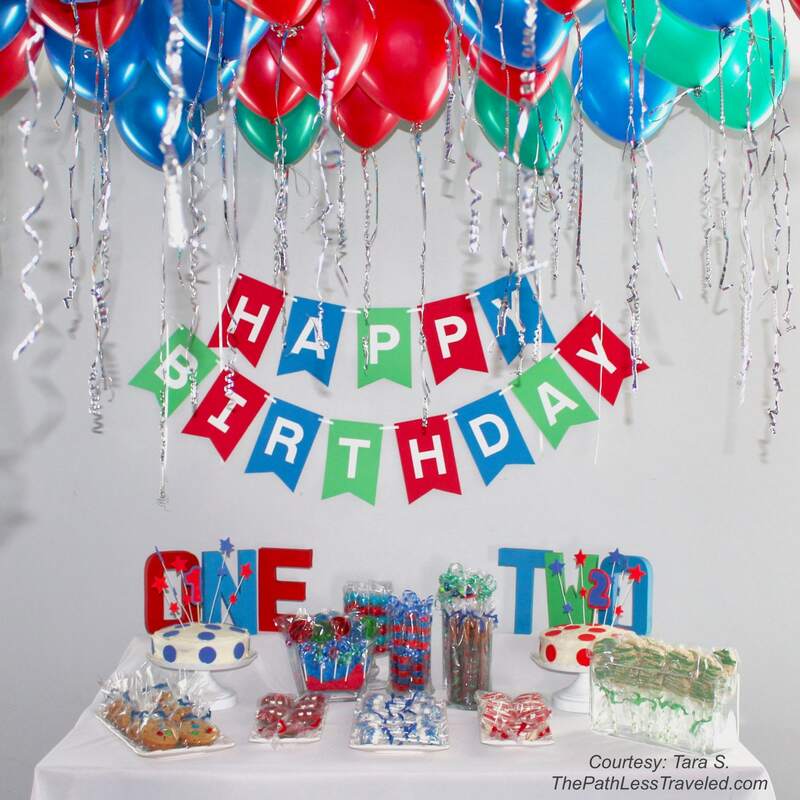 Deluxe Happy Birthday Banner and Photo Prop. 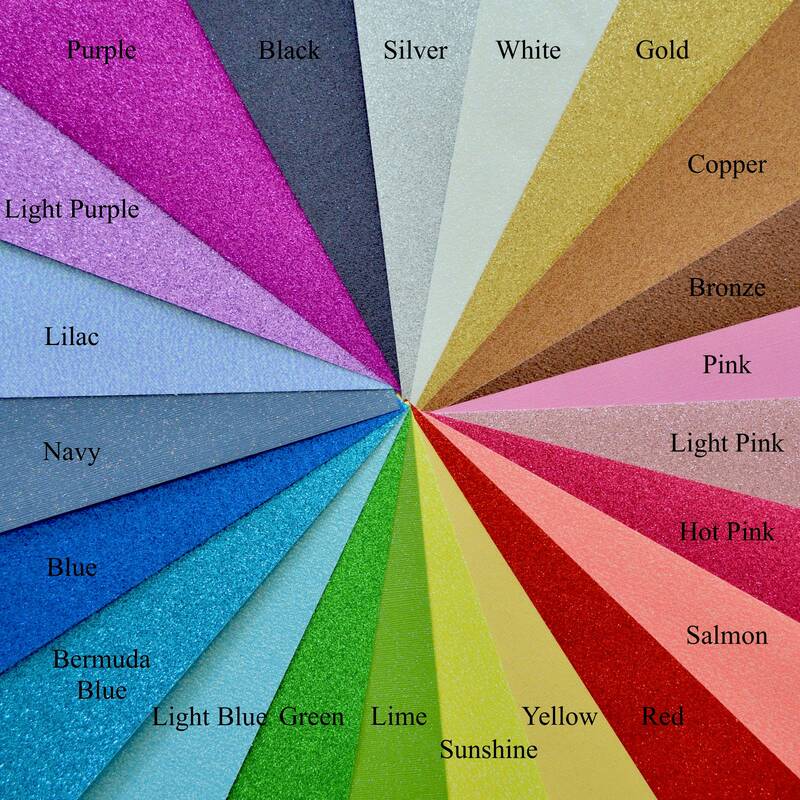 Choose from a rainbow of glitter colors, including gold, silver, pink, red, yellow, and more! 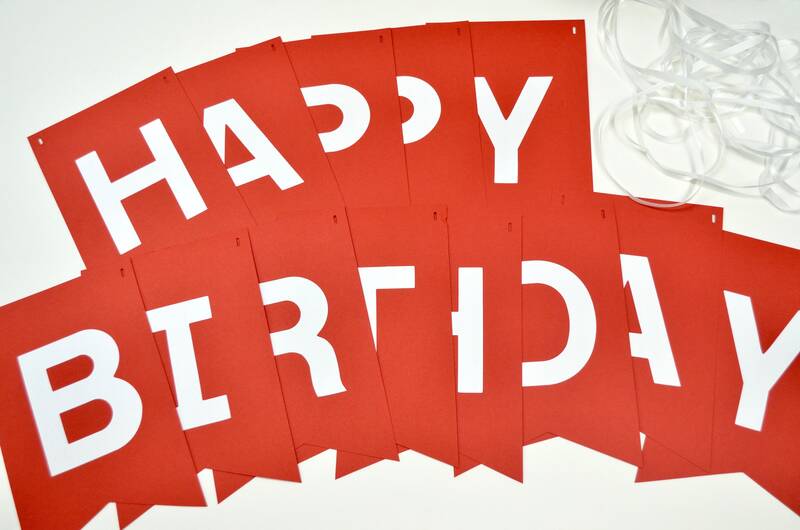 This birthday banner will add a perfect touch to your birthday celebration! It is made from sturdy card stock and satin ribbon, making it an item that can be reused over and over for years to come. 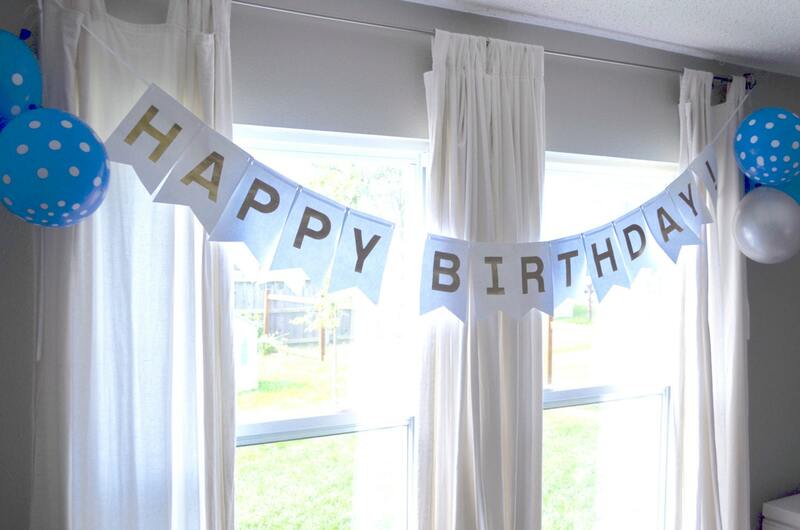 Each banner is made from 4" tall letters that are cut from your choice of heavyweight cardstock, and then attached to 8" tall paper flags that are strung onto a 15-foot long piece of white satin ribbon. Would you like to customize your banner? 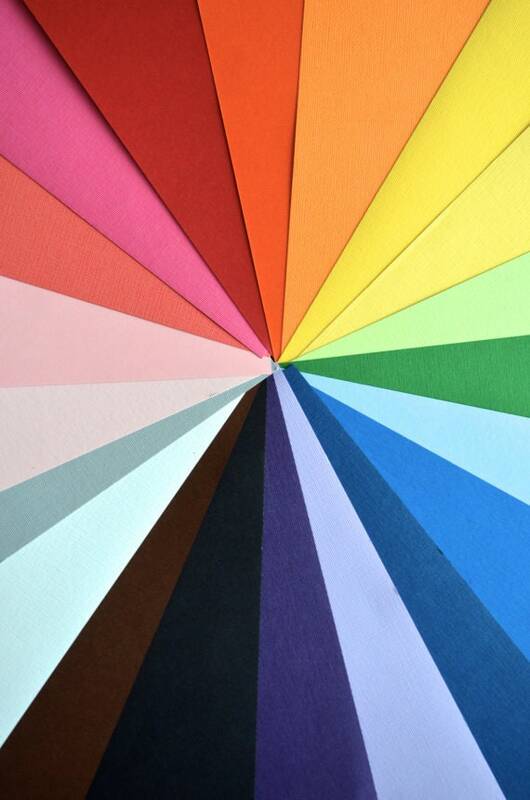 Perhaps a name, different colored paper or ribbon? Just ask! We love custom orders! What a great banner !! Will use for more birthdays to come !! Great quality !! 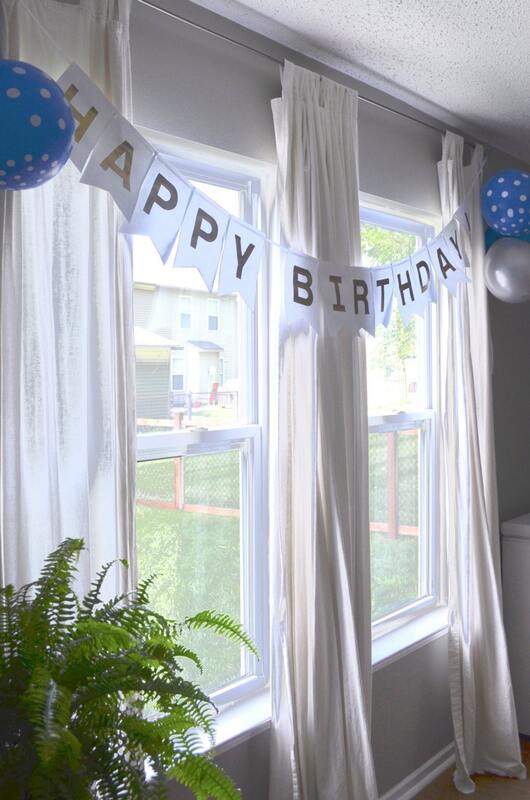 This birthday banners turned out exactly how I wanted it and was complimented so beautifully by the garland!